Look Out, Robot! Everything on This Planet Is Trying to Kill You! Remember the terrible deaths that sad little boy suffered every time you screwed up in Limbo? Would you care if it was a robot dying in lots of painful ways instead? Take a look at the brightly colored Planet of the Eyes and see if you feel any empathy for a walking computer. 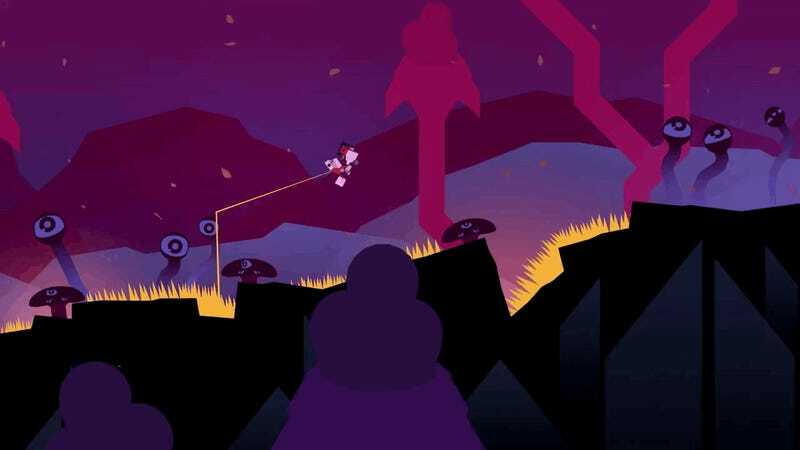 The Cococucumber dev team that's making Planet of the Eyes isn't shy about calling Limbo an inspiration for their take on the puzzle-platforming genre. But it also differs from PlayDead's award-winning game in several important ways. It'll have voicework—heard in the scattered audio logs left by the robot's wayward creator—and it'll be rendered a bounty of hues. The part of me that loves old-school science-fiction graphic design and a creepy undertone to my video games is anticipating Planet of the Eyes' final release. IT's already on Steam Greenlight and will be coming to Xbox platforms later this year.